I always do Get to Know You Portrait Sessions with my wedding clients – this is similar to “engagement photos,” but without all of the cheesy hype that the term “engagement photos” implies. The reason I find these sessions so valuable is because it allows us the time to get to know one another without the excitement of the wedding day encircling us. Get to Know You Sessions are super laid-back, fun, hour-long portrait sessions where we hang out, make beautiful photos, talk a lot, laugh a lot, begin to build a friendship, and give the couple some experience being photographed together. 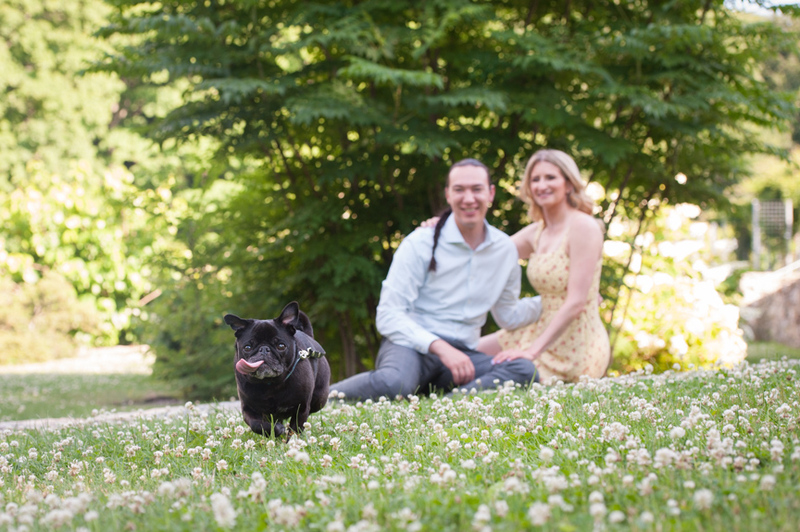 And a lot of clients incorporate their pets and kids into the photos, too! Why not? These sessions are about feeling comfortable and authentic in front of the camera, and a lot of times having the kids and animals there helps create a fun, informal experience. I always support couples doing what they need to feel more comfortable having their picture taken. That may mean bringing along the dog, taking photos at home, playing with the kids, or even having a cocktail as part of the process. I’m like a seventh grade history teacher when it comes to Get to Know you Sessions – you are only excused from participating if you have extenuating circumstances (one partner lives abroad, for example, might get you a pass) because that is HOW IMPORTANT these sessions are! Not sure if you want to do it? 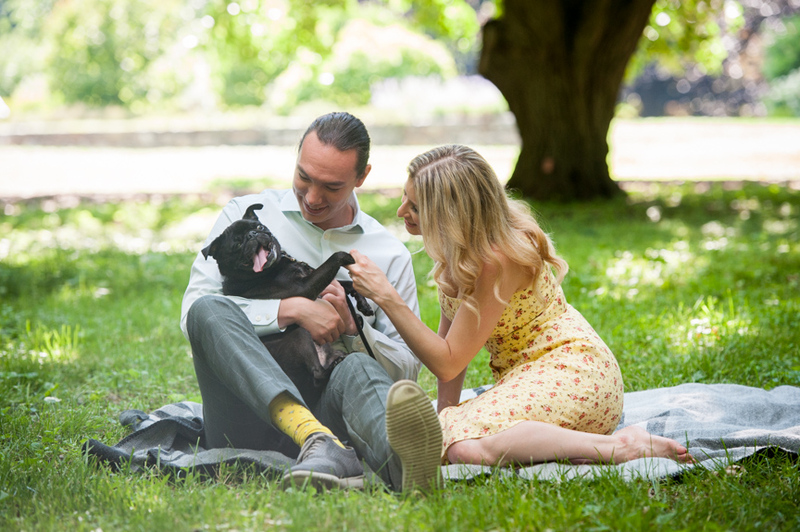 Bring along the dog, like this couple did, and I promise we’ll make it fun.